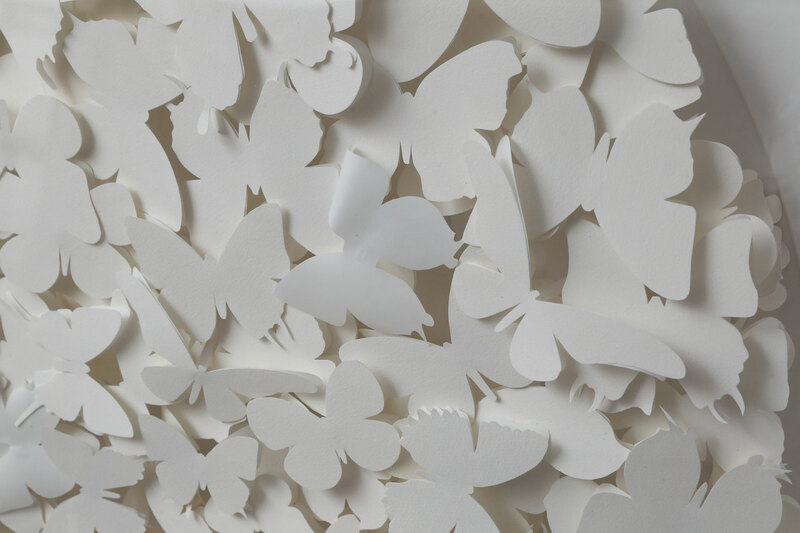 White paper butterfly box: the butterflies are hand-cut from Strathmore Aquarius II 80 lb paper. 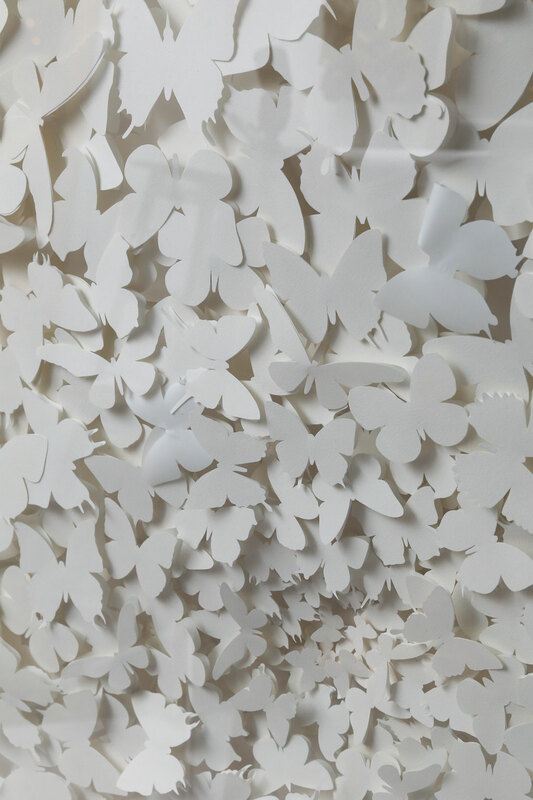 The use of white reduces the butterflies to their purest form and they are arranged to appear animated as if in flight. 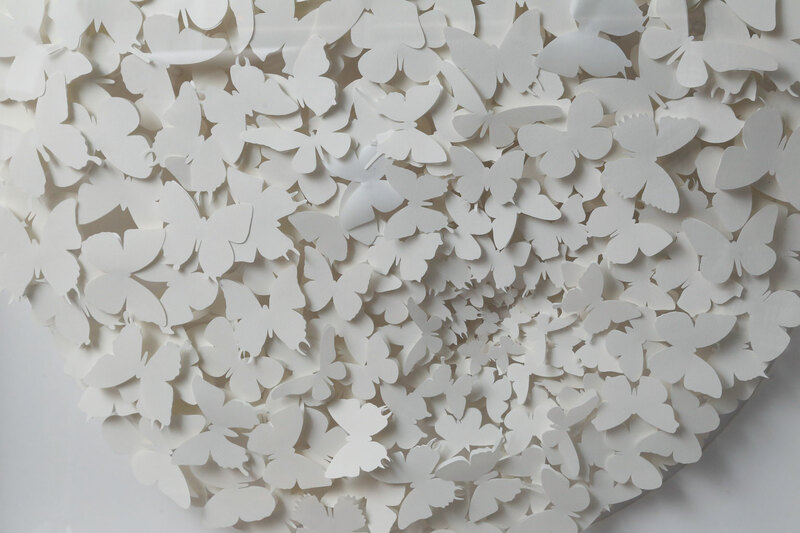 All papers, mats and backers are acid free. 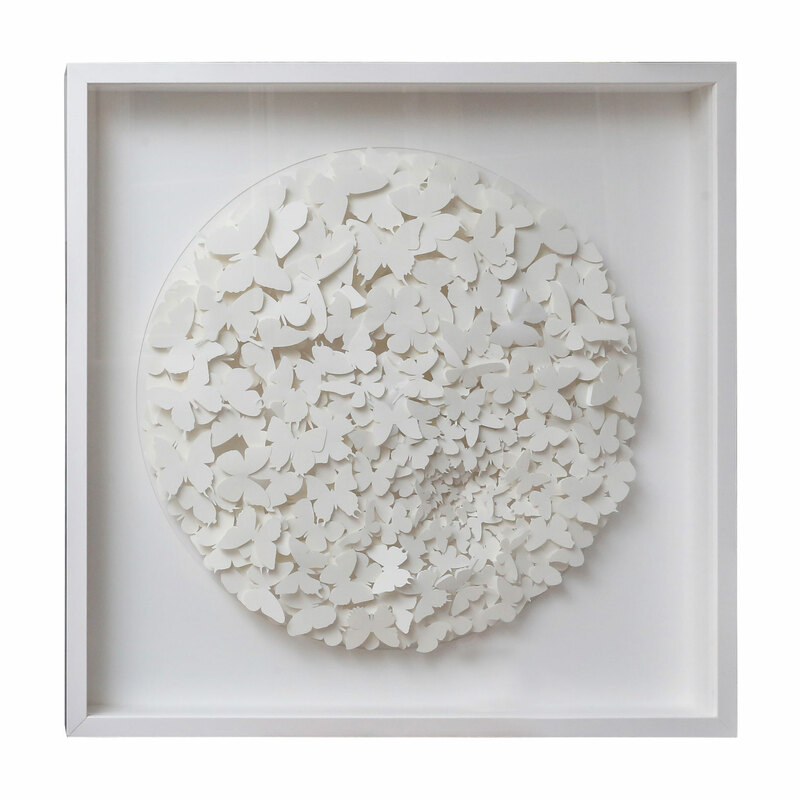 Materials: Strathmore Aquarius II 80 lb paper, glass and painted unfinished maple.